It’s pretty easy to assume that translations are a near-instant process with the help of free, multilingual machine translation such as Google Translate or DeepL. Unfortunately, despite recent developments in the world of computer aided translation (CAT) tools, translation is still largely an intellectual process carried out by skilled human brains. With Wordbee Translator (WBT), translation can be done more quickly without sacrificing accuracy. Automating the process with the help of WBT while removing bottlenecks that can slow the process down, will set your project up for success! For most businesses, international expansion is viewed as a key factor to expand branding and marketing. When your business needs to be everywhere overnight, traditional translation methods just won’t do. Wordbee Translator has a special set of translation project management tools that your business needs to generate speed. Setting up job deadlines based on project deadline allows managers to define the due date for each workflow step based on the project deadline. Users who use the client portal will have the ability to copy the order deadline into the project and keep both fields synchronized if changes are made to delay the delivery dates. Users can also update project and job deadlines synchronously, so the whole workflow can be rescheduled for a different date. Notifications are sent to the relevant peers in the project so they’re always updated. Additionally, clients could be notified by managers when their delivery dates are updated. Filters include more suppliers in an ongoing job proposal. Additional options have been included for external vendors in the supplier assignment popup, allowing filtering on different criteria such working domain, company custom fields or login access. These options are intended to include additional vendors to the active pool of suppliers for a given job, in case updates have been made into the system or adjustments are needed on the current job. Warning flags are shown if no supplier has committed to perform a job for a given time after the job has been made available in the platform (the time is defined by managers). The flag can be used to call the attention of managers for immediate action, so the deadline isn’t compromised. Rummaging through email for the latest files or trying to track down that one conversation you had about a particular project can be frustrating and time consuming. Wordbee’s collaborative project setup allows to split up large documents into different jobs or give access to a pool of suppliers, allowing multiple users to work on a file and meet tight deadlines. Workflow Templates provide another way to automate processes for client projects within WBT. They are used to define the steps required to implement a project (i.e. translation, revision, etc.). With them, you can lay out the workflow for a project in advance to make the process faster and ensure accuracy. Clients can watch the completion of given tasks of the workflow, allowing them to keep an eye on the progress of their order and expected delivery time for the results. If several files/languages were part of an order, this allows them to know exactly when the results are available by consulting the order summary, since the automatic notification will only be sent when all files are finalized. 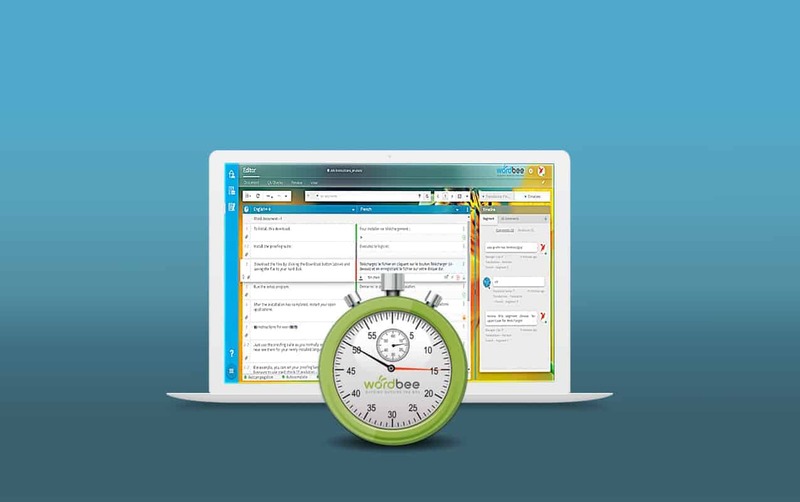 The Luxembourg-based company Wordbee has developed Wordbee Translator, a Cloud-based collaborative translation and project management platform and Wordbee Beebox, a CMS connectivity solution. Wordbee helps renowned Language Service Providers, public and educational organisations, and global leading companies to implement high-performance translation technology.